Nimble and versatile, our Autogrip is ideally suited for quickly towing vehicles, even in parallel parked situations at 90 degree angle, touching only the rubber treaded portion of the tires. Fast and safe to operate, our drivers can control the Boom and Hydraulics from the inside of the cab, safely watching every move on a camera monitor. 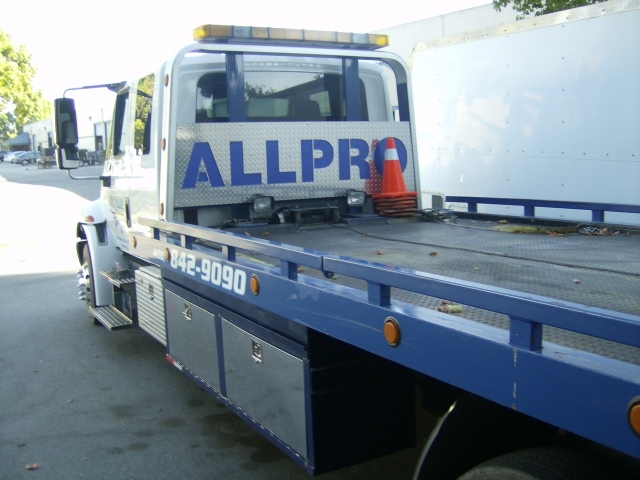 Our Right Approach flatbed with a split deck design eliminates the hassle (and risks) associated with using wood and blocking to tow low clearance vehicles. The lower section of the bed hinges, providing the super low (6 degrees) approach angle onto the bed. Just another way All Pro Towing & Recovery uses the Right Approach to care for your investment. Motorcycle Towing is one of our specialties. From Suzuki Superbikes to Harley-Davidson Sportsters…we know the importance of safe transportation for your Bike and carry the proper equipment to deliver ALL bikes safely. Our Cycle loader is the perfect piece of equipment for securing and transporting all motorcycles on the market…even bikes that weigh over 2000 lbs. 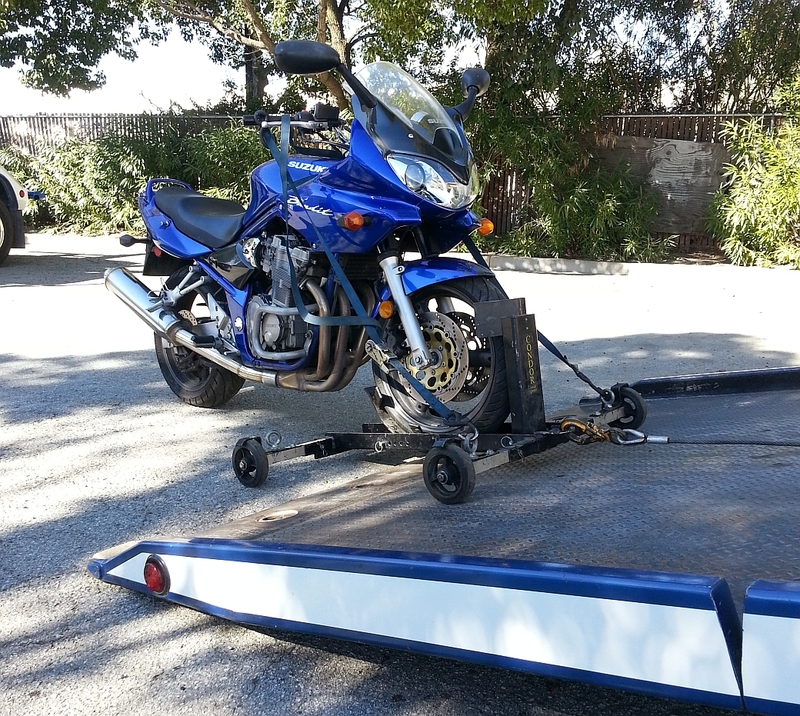 Its patented locking mechanism is the most secure method of supporting your motorcycle in an upright position, on the ground or on a flat bed car carrier like our Right Approach tow truck above. 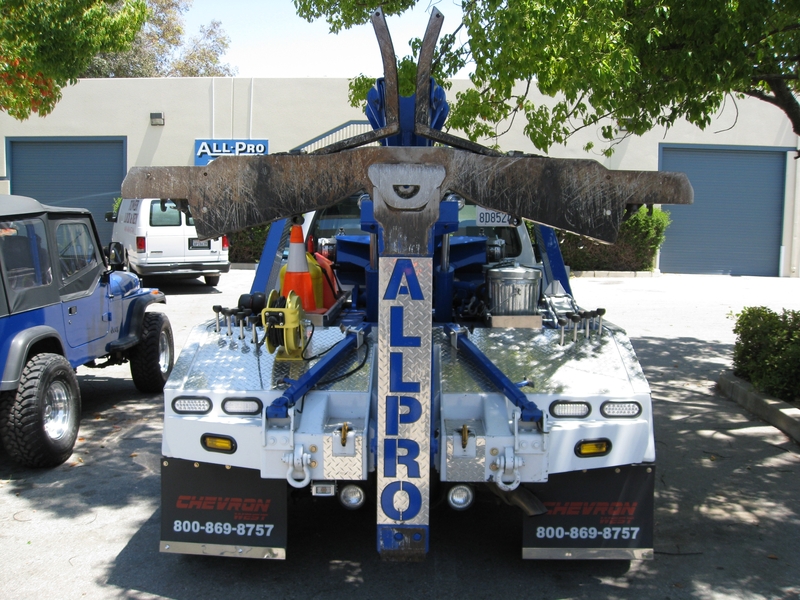 Fifth Wheel, Goose Neck, Ball Hitch, Pintle Hook with Lunette Eye, (Donut Style Hitch) we can tow them all. 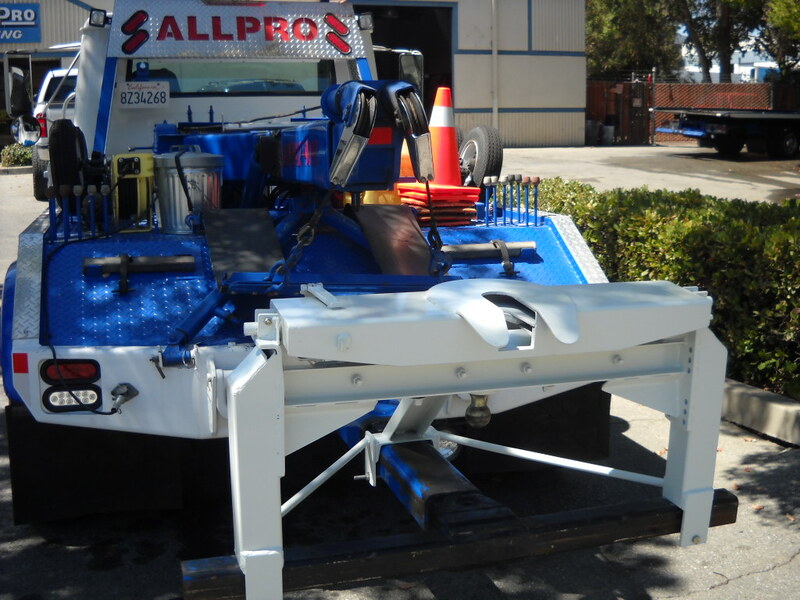 If you need a Travel Trailer, Camper, Horse Trailer, Boat, or any trailer without Air Brakes moved…give us a call.